Bed bugs heat treatment procedure involves pest control specialist using professional equipment (Heat Assault 500 X) to raise the temperature in the premises and effectively kill bed bugs. Adult bed bugs and eggs die within 90 minutes if exposed to 113°F (45°C), within 20 if exposed to 118°F (48°C) and immediately at 122°F (50°C). Heat Treatments Don't Require Harmful Chemicals! Customers who make the health of their families and the environment a top priority choose heat. It's the greenest and safest way to get rid of bed bugs. Our Calgary bed bugs treatment does not require chemicals and will not pose a threat to you or any member of your household. Heat Treatment is the Fastest, and Most Effective Way to Get Rid of Bed Bugs and other Pests. Killing bed bugs with heat may be a new idea to you, but it’s certainly the most effective on the market today. Our heat treatment units use the latest technology to quickly bring the temperature in your home up to the kill zone for bed bugs, and keep it there until the job is done. Heat is a natural pest killer and will do away with bed bugs and their eggs on contact. Unlike some older methods, pest heat treatment for bed bugs eliminates your problem right away. By contrast, chemical treatments can take weeks or months to eliminate a bed bug problem. The pest heat treatment process wipes out bed bugs in just one day. Heat Treatment Help Us Save Your Furniture. Chemical treatments don’t always allow you to keep your belongings. Thanks to the right type of pest heat treatment in Calgary, those bed bugs won’t mean you have to go out and buy a lot of new things. The reason is simple. For a chemical-based bed bug treatment to work, you often need to throw away a lot of furniture. Once bed bugs start laying eggs inside box-springs, bed frames, mattresses, and couches, pesticide is not very effective. This means you'll have to toss those items in the trash if you're using one of those older approaches to pest elimination. 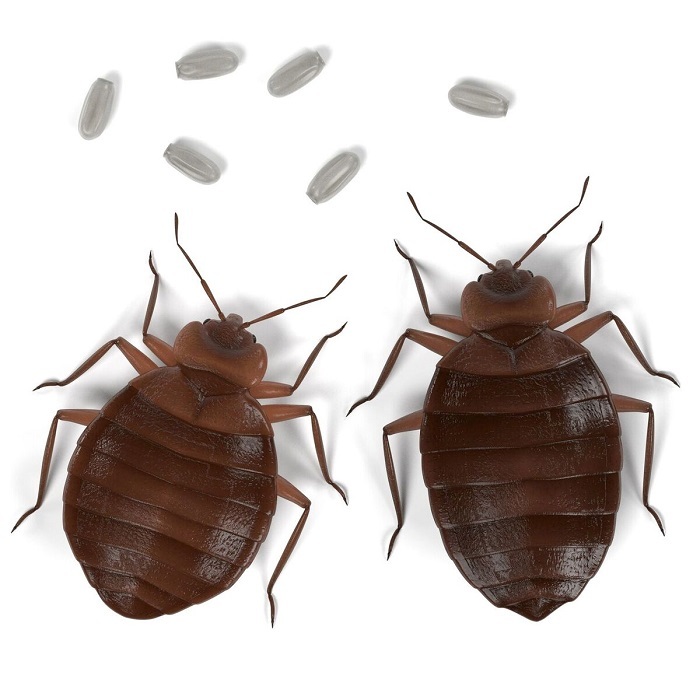 Unlike pesticide treatments, a bed bugs heat treatment in Calgary penetrates inside furniture items, killing bed bugs and the eggs buried deep in the upholstery. This allows you to keep your furniture, and save quite a bit of money! Our Heat Treatments are Guaranteed! Our heat treatments for bed bugs removal in Calgary come with one of the best guarantees in the business. We don't make you follow long checklists with endless requirements for us to make good on our commitment. If you have any problems after the pest heat extermination is complete, we come back and deal with the problem until it’s resolved. Your costs will never go up and we'll always be there for you when you need us. Let us show you how true bed bugs control in Calgary is done. With the latest in pest control heat treatment equipment on hand and the experience of our team, your home will soon be free of all pests.